Spread-a-Bale has added to its portfolio the Midi Lite, the first ever side mounted self-loading straw spreading machine for rectangular bales weighing 500kgs maximum and appealing to livestock farmers with one tonne loaders. The Midi Lite will be officially launched at Lamma. 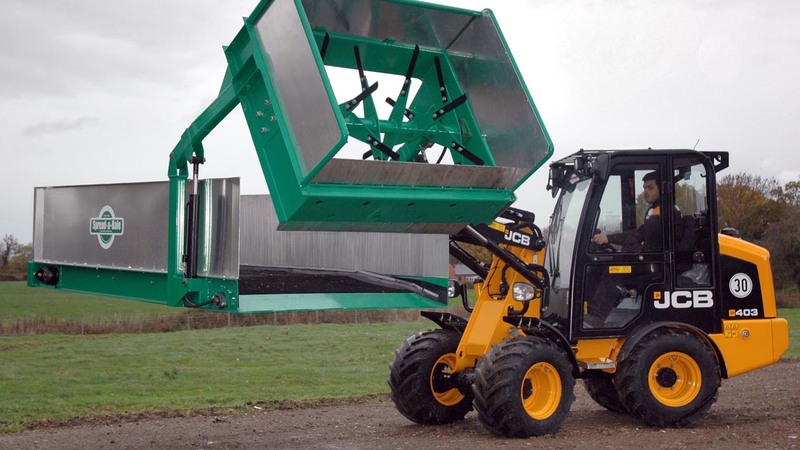 Extending Spread-a-Bale’s M series, the 500kg Midi Lite requires only one tonne lift capacity and is suitable for most tractor fore-end loaders as well as skidsteer and Hof loaders. Spreading distance is up to 14 metres to the left by a single horizontal rotor.